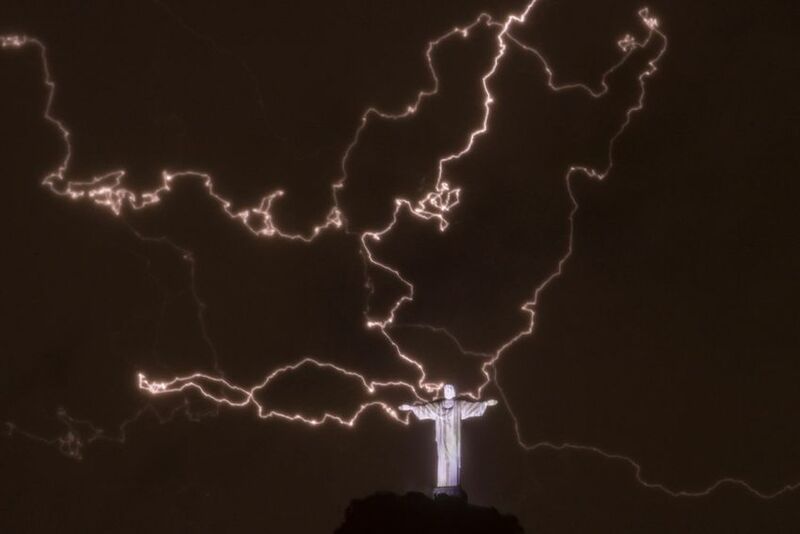 The 100-foot tall statue of Jesus, also called The Christ the Redeemer statue,that towers over Rio de Janeiro was struck in the early hours of Wednesday Jan 16th 2014 as a spectacular electrical storm lit up the sky. It struck off one of its fingers. 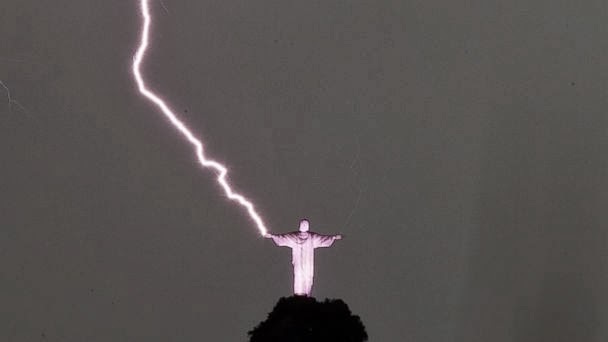 The statue is the largest stone-work of Jesus ever built and stands more than 2,000 feet above Rio on top of the Corcovado Hill. The statue is made of 700 tonnes of reinforced concrete. It was named one of the seven new wonders of the world in 2007. Look at the images above and pause and think if you can…. February 13,2014 the Europeans have brought out this shroud again that supposed to have the imprint of jesus. they say that it is Jesus and they have analyzed the blood and it is blood. Here they go again trying to convince us that this is jesus, as we know there were no J,s during the time he walked the earth. also one of the scientist said that there is no description of him in the bible, now the pope was right there now he is supposed to be a man of God and tell the truth he know the description that it gives in the bible, what we fail to recongnized is that they are talking about a God or jesus alright but it is not the true one. it is Satan but they do not come straight out and say it. so they call him this name because if not people will run from it. so they stay in control using this word but worship Satan that’s where the Europeans get there powers from they sold there souls to him to be where they are today. but there contract is starting to run out. The Europeans will stop at nothing to be on top. they are still after Africa and keeping their pagan Gods in the land and teaching about him. and calling these people uncivilized. which in fact they are the ones going around the country destroying and killing people.